By Anke Thurm, Community Development worker for Moulsecoomb, Bevendean & Bates Estate. 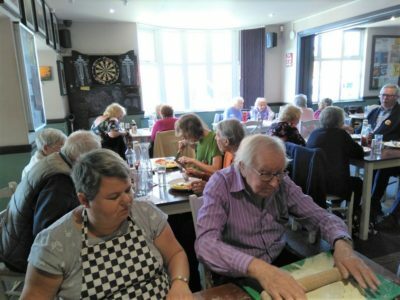 On Monday 1st October, we were thrilled to support an event at Brighton's Community Pub, The Bevy, for the Brighton & Hove Older People's Festival. 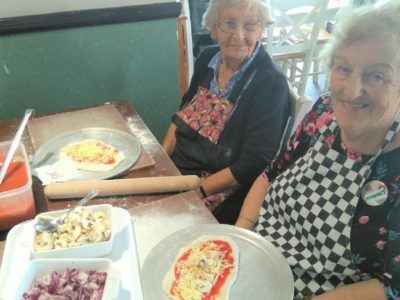 The lovely bunch at the 50+ ‘Bridge the Gap’ lunch club (which meets every Monday from 12-2 at The Bevy Community Pub in Higher Bevendean) celebrated Older People’s Day with a yummy pizza making session. 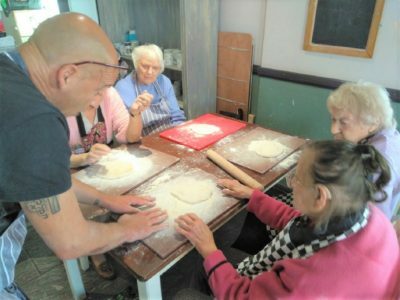 Support was provided by Community Oven, a Community Interest Company which helps make events and projects socially inclusive by bringing people together through healthy, fresh and well cooked food. 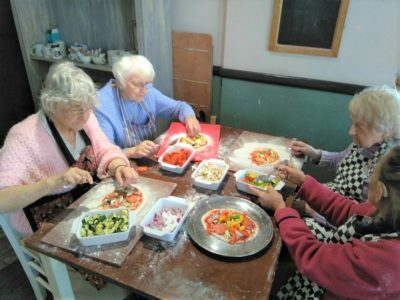 This meant that proper Italian style pizza dough was kneaded, shaped, rolled and decorated by each lunch club member to their own liking. 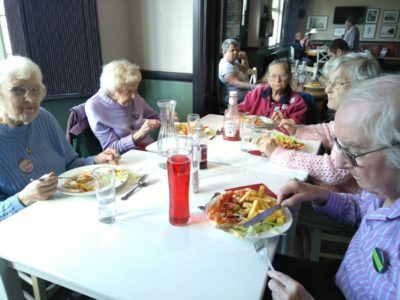 With floury hands and deliciously filled bellies, this was a special treat and lots of fun for everyone involved. Community Building Information and Networking Event – registration open!